Deborah Hankinson excels in many roles: mediator, arbitrator, alternative dispute resolution (ADR) and litigation avoidance consultant, and appellate attorney. She started her career as a trial and appellate attorney in private practice after graduating at the top of her class at Southern Methodist University’s Dedman School of Law. In 1995, she was appointed, and later elected, to serve as a Justice on the 5th District Court of Appeals in Dallas, before serving as a Justice on the Supreme Court of Texas from 1997 to 2002. Deborah is the founder of Hankinson, LLP, a civil appellate firm, and a leader in ADR. 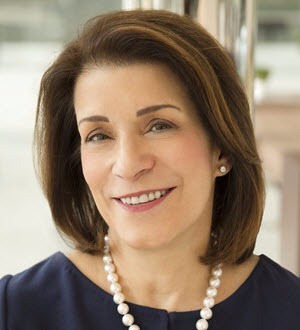 Deborah is a Fellow of the College of Commercial Arbitrators, sits on the Board of the American Arbitration Association (AAA), and serves as a neutral in both AAA-administered and private arbitration proceedings. As an arbitrator, she focuses on effectively managing and facilitating the proceedings. Her process involves clarifying the issues at play, optimizing the use of applicable rules and procedures, and listening carefully to arguments presented at hearings. She gives full consideration to claims and defenses and produces clearly written awards that thoroughly and efficiently address the parties’ contentions. Deborah also consults with clients on the creation of arbitration clauses and the selection of arbitrators, as well as negotiations relating to the arbitration process and how it will unfold. She has trained other arbitrators and spoken at numerous conferences on a range of ADR-related topics. Deborah is a sought-after mediator known for her problem-solving capabilities. She mediates a broad range of conflicts, including business and commercial disputes, complex and mass tort cases, oil and gas controversies, sensitive employment issues, and insurance contract and coverage disputes. During mediations, she identifies the key factors at play and then actively works with the parties to break down barriers to resolution. She is experienced in handling large, multi-party mediations that require a series of strategically-timed sessions to reach settlement. A skilled strategist, Deborah also consults with individual clients involved in pre-litigation disputes, helping them to assess potential issues and identify possible pathways to early resolution. In addition, Deborah consults with clients already engaged in litigation on settlement options and may serve as special settlement counsel. Deborah is a member of the American Law Institute and Board Certified in Appellate Law by the Texas Board of Legal Specialization. When she left the judiciary to re-enter private practice, she became a trailblazer in the development of a new, more comprehensive approach to the practice of appellate law. To this end, clients retain Hankinson LLP not only for excellence in oral advocacy and post-verdict briefing, but also to work closely with trial teams to develop and execute pretrial and trial strategy, build evidence, and optimize the positioning of a case for trial and appeal. While on the Supreme Court of Texas, Deborah was a driving force behind the creation of the Texas Access to Justice Commission, which works to ensure that low-income Texans are properly represented in civil legal matters. Since then, she has worked for fairness and justice in jurisdictions across the United States.